I know this subject seems ridiculous for millions of young and middle-aged people. They say retirement is decades away so why be concerned? The issue seems small now, but in a just a few years it could become huge. Indeed, the problem of retirement saving, or just saving enough so you can achieve financial independence at a relatively early age, is already a critical issue for millions of Americans as people live longer. The problem is these people expect to maintain a good standard of living for many more years than their parents and grandparents. Many Americans desperately need help saving for retirement. And they need it soon because they are falling far behind in retirement savings. Millions aren’t saving enough. They are facing retirement years that will be anything but golden. It amounts to a 4.1 trillion dollars shortage in aggregate retirement savings, according to a recent report by the Employee Benefit Research Institute (EBRI). It’s not all bad news. The EBRI says 57 percent of U.S. households are saving enough. But “that means that nearly 43 percent of households will not achieve success,” according to the EBRI. But there is sometimes help solving the problem in the workplace and, if not there, there are other ways to save. EBRI in its report, said a reason why someone is in the 43 percent group is owing to the availability of the defined contribution account (DCA), the 401(k)-retirement saving plan. Does one have access to it and how many years does one use it? The more years of eligibility and the more years one contributes, the better one’s chance of achieving retirement saving success. Do You Have a Lot of Years of Saving? What should be done to close these retirement savings shortfalls? And why are there often hindrances to saving? “Long-term savings are in decline, and half of Americans are at risk for not saving enough to maintain their current standard of living in retirement,” according to the study. Part of the problem of inadequate savings, the Tax Foundation says, is that the tax code encourages consumption and discourages saving. Personal saving, setting aside resources today to get benefits in the future, is taxed in a variety of ways in the United States, the Tax Foundation says. For example, ordinary income tax treatment taxes income when first earned, and, if saved, taxes the returns on the saving (the reward one “buys” by saving). This is very different than the way the code treats consumption, the paper says. “By contrast, income used for immediate consumption is taxed only once by the income tax; the income tax does not fall again on what one buys with the after-tax income. This second layer of tax on the rewards for saving favors immediate consumption over delayed consumption,” according to the paper. These multiple layers of taxation are part of the bias against savings, the paper says. What should be done to combat the bias against saving that has generated this retirement savings deficit? Several advisors I have spoken to say financial professionals need to make the average person aware of the problem. They should illustrate the problem in dramatic ways. “I take out a chart and shows how one’s retirement savings will run down and how you may be out of savings by age 72 and then what will you do?” says Raymond Mignone, a certified financial planner (CFP) in Little Neck, New York. These people usually understand the problem when it is explained to them, advisors say, but the stumbling block is many people don’t have advisors. The problem is a Catch 22. The people who tend to be the ones who need the help saving for retirement the most tend to be the people without advisers; people who often can’t afford or have never thought to use them to achieve financial goals. Indeed, take three hundred dollars a month and invest it for 35 years and earn nine percent a year. At the end of 35 years one has some $900,000 before taxes (And one doesn’t have to pay taxes on qualified retirement accounts such as 401(k)s until one retires and start drawing on the accounts). 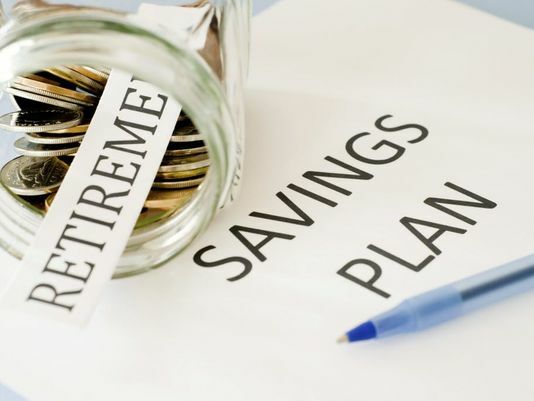 Both Feldman and Mignone agree that saving 10 percent in a qualified retirement account, whether at work or on one’s own through an IRA, in one’s early years of retirement planning is an effective strategy. This is fine except for one point: A lot of Americans, especially younger ones who need help the most, are unable to get advisors, who often don’t want to work with people who have little or no assets. Here, I believe, it is up to the individual to start helping himself or herself. Waiting for an advisor to finally get interested in you may mean it is too late; that you lack enough years to accumulate a significant amount of saving in order to retire or just take it easy for a while when you are middle aged. The advisers agree that one should start saving as soon as possible at work through a qualified plan at work and that initial contribution rates should always be at least enough to earn the employer’s match or the maximum tax break in the case of an IRA. Take care of yourself and start saving and investing on a regular basis as soon as you can. 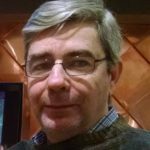 There’s a hard truth that every reader of GregoryBresiger.com should remember: Few people, outside of extraordinary relatives and friends, are likely to help you. Will Uncle Sam Will Take Care of Me? With its incredible debts and with Social Security now running in the red, governments in most advanced social welfare democracies are likely to cutback in the future. And it doesn’t have to be done directly. Remember, governments have various backdoor methods at their beck and call. The most insidious is the debasement of the currency we are all required to use.